This is a Friday story if there ever was one, but it made us laugh anyway. 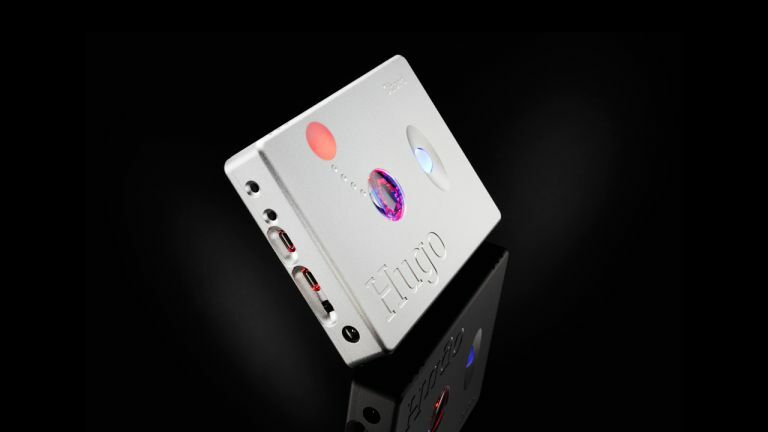 Chord has pitted its £1,400 DAC and headphone amp the Hugo against a tank. No, we don't know why either. The tank in question is a Russian-built BMP-1, which features radiation shielding and weighs 13 tonnes. It's also capable of carrying 11 people and can be used to cross rivers, thanks to some handily-placed flotation devices. But the T in T3 doesn't stand for tanks, so we better move on. The Chord Hugo is one of the best-sounding DAC and headphone amps on the market. We reviewed it some time ago and it scored a jolly respectable four-stars. It has four digital inputs, supports bluetooth and can output to three sets of headphones in one go, it also supports high-resolution audio at 384khz as well as the DSD 128 format. Chord has form when it comes to pitting its components against heavily-armoured vehicles. In 2011 the company let its flagship DAC, the QBD76 gpo head-to-head with a T55 tank, and it managed to survive too. Clearly then, Chord wasn't taking too many risks allowing the Hugo to undergo similar punishment. Watch the video in all its absurd glory below. Note though that while the Hugo does survive, it does take a fairly cracking dent too. Even so, an impressive feat for such a small device.